Hola peeps! Welcome to Monday and I hope that it is a good one for you. 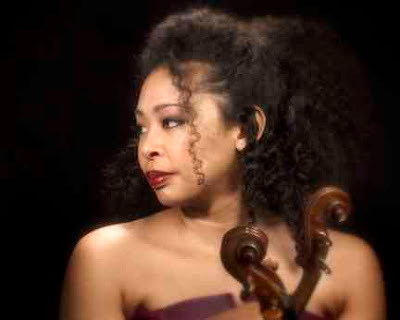 Today’s muse is the gorgeous violinist Nokuthula Ngwenyama. Born in California of Zimbabwean-Japanese parentage, studied music in Paris, earned a Master of Theological Studies degree from Harvard University, and known to get down with Wynton Marsalis she is truly a force to be reckoned with. Oh and I adore her lush curly mane! Take a time out and listen to her play, you won’t be sorry. Enjoy! « 2011 Black Girls Rock Awards!